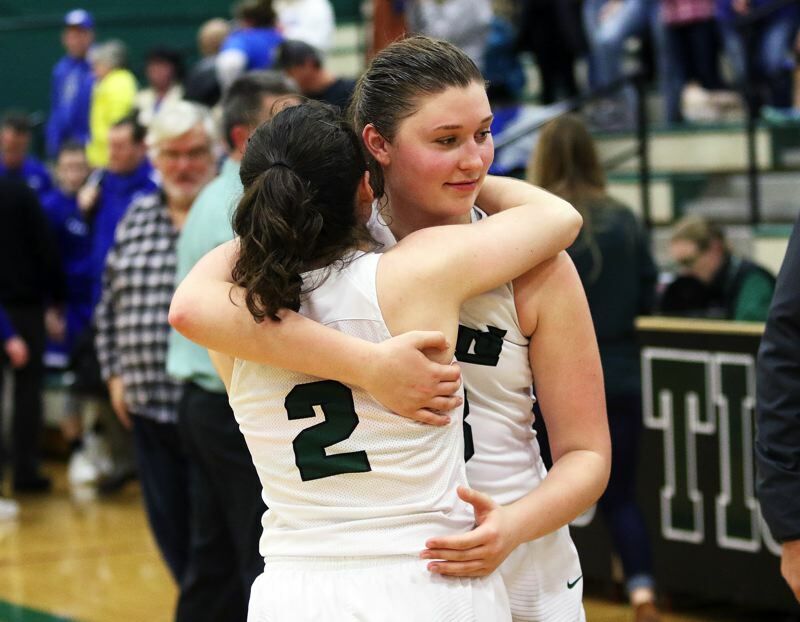 TIGARD — The Tigard High School girls basketball had to earn everything it got. For every big shot Grants Pass sank, the Tigers had to answer. Well, Tigard did answer back — time and time again. And, because of that, the Tigers earned a trip to the Class 6A state tournament. 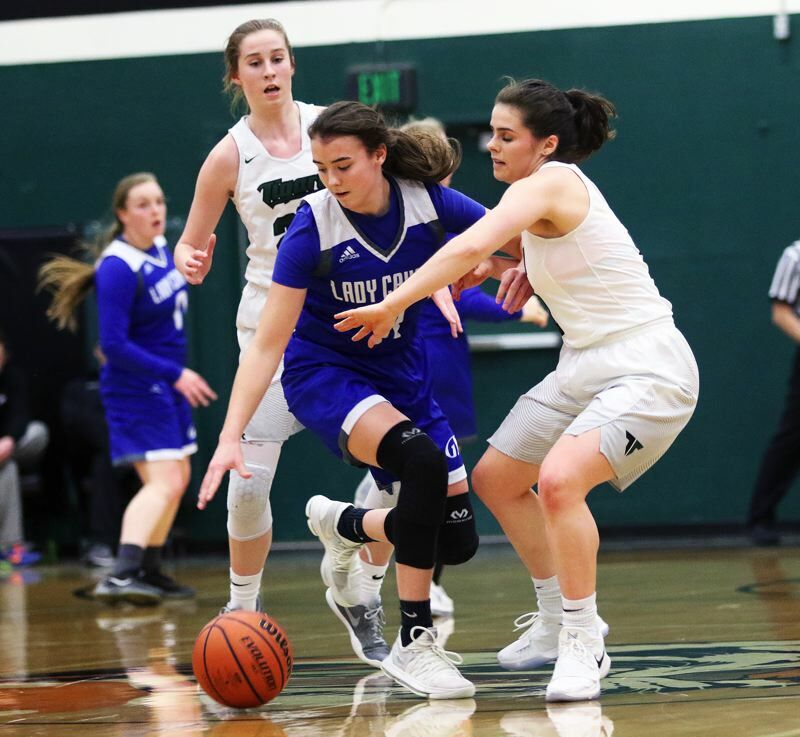 Tigard, overcoming an amazing shooting performance by the Lady Cavers — with some impressive shooting of its own, as well as come clutch defensive play — came away with a thrilling 51-48 victory in a Class 6A state playoff second-round game played in front of a loud, enthusiastic crowd at Tigard High School. 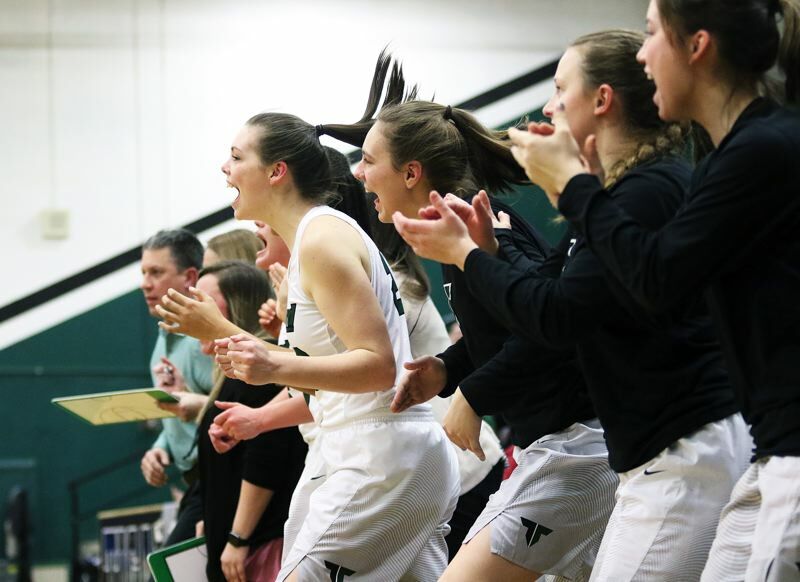 "Pure joy," said smiling Tigard junior guard Campbell Gray, who scored a game-high 20 points in the victory. "This was a tough game, but it was really exciting." 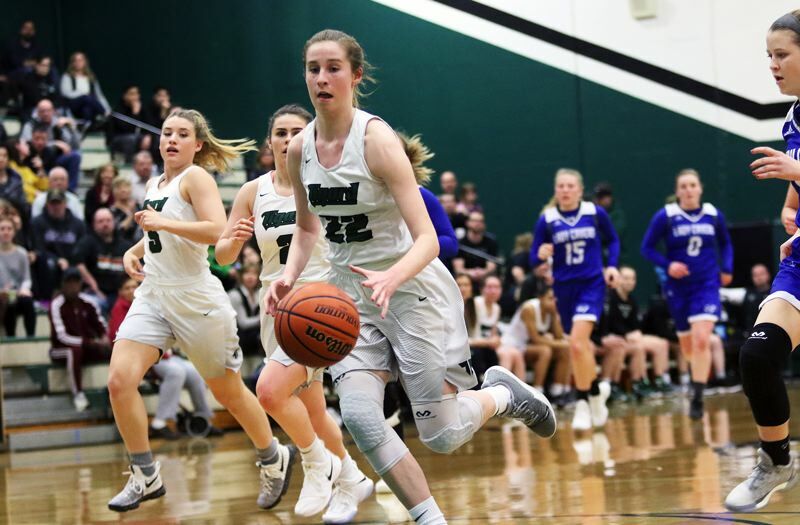 "I'm so excited to be going back to the tournament," Tigard junior guard Paige LaFountain said. 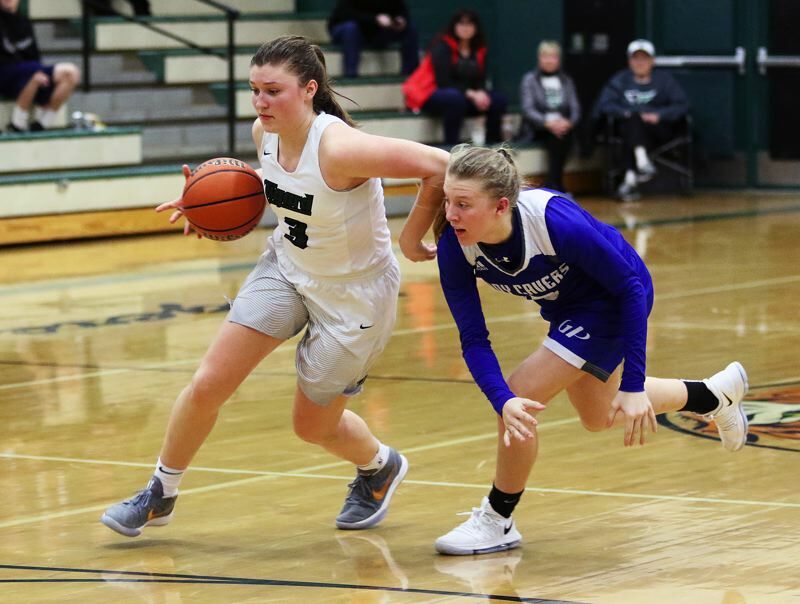 "That was a really hard-fought game," said Tigard sophomore guard Delaney Leavitt, who scored 13 first-half points. "We knew it would be tough. I'm so excited." With the loss, Grants Pass, the No. 4 team out of the Southwest Conference, and the No. 18 team in the final OSAA power rankings, finished its season with a final overall record of 16-10. Tigard, the Three Rivers League champion, and the No. 2 team in the power rankings, improved to 23-3 on the season with the victory. The Tigers also advance to the Class 6A state tournament for the second time in three years. 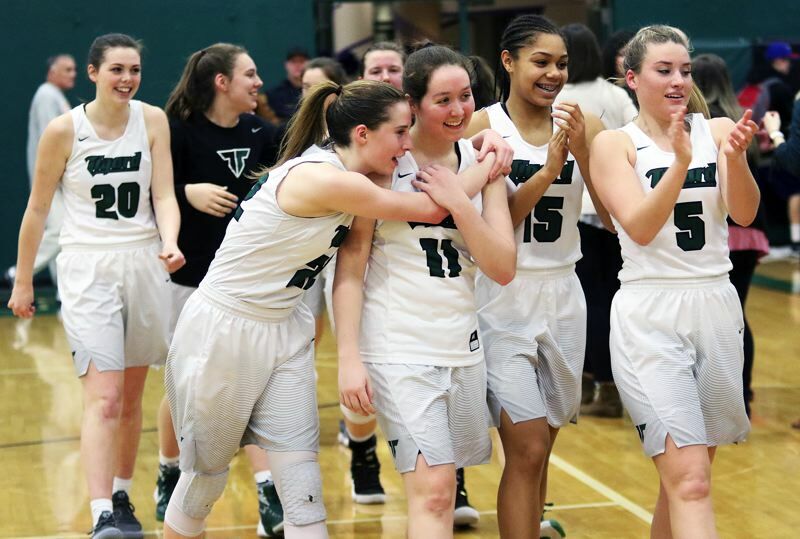 They'll open state tournament play on Wednesday, when they face Benson in a quarterfinal game, starting at 8:15 p.m. at the University of Portland's Chiles Center. 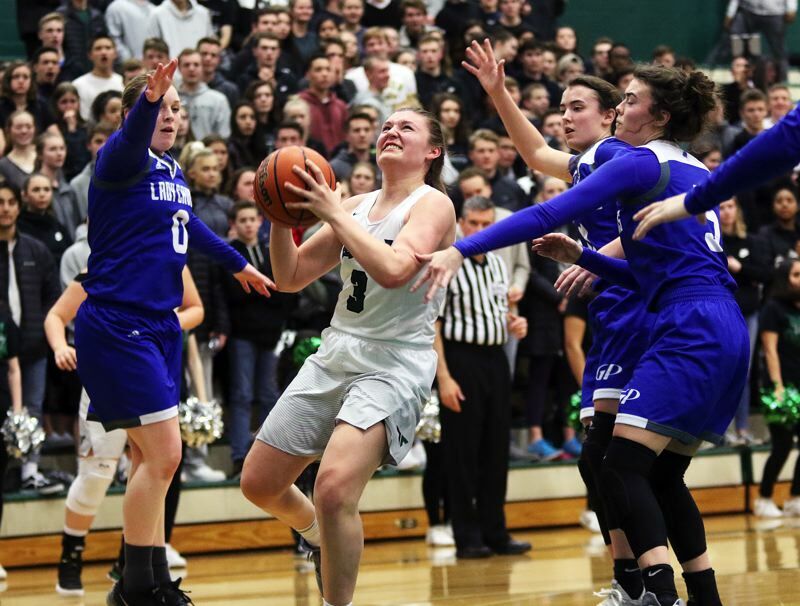 "We were definitely motivated to get back there," said LaFountain, who, along with Campbell, played as freshmen for the Tigard team that reached the 2016 Class 6A state championship game. "Our goal all season was to get to the Chiles Center," Gray said. "We're going to take it game-by-game, and play hard." "This is really great for me," said Leavitt, who will be making her state-tournament debut on Wednesday. "Two years ago (when Leavitt was an eighth-grader), when they went to the tournament, I skipped school and watched their games. I was a super fan." 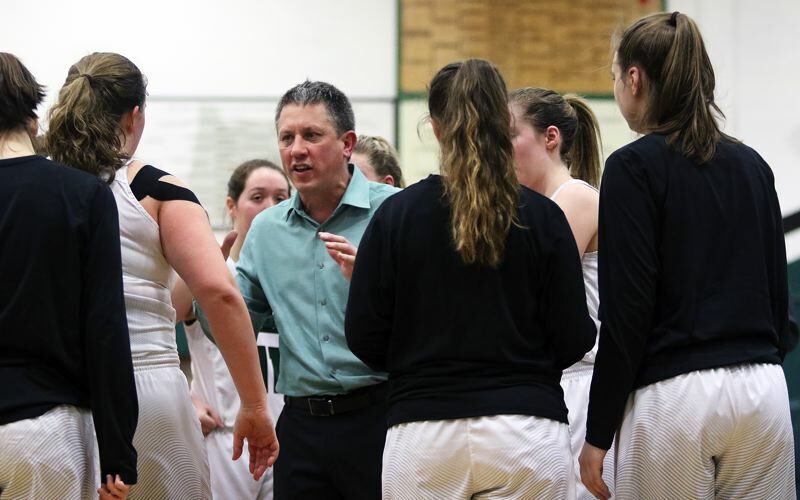 "It's big," Tigard coach Steve Naylor said of earning the state-tournament berth. "It's never easy to get there." The Tigers definitely found that out in Friday's state playoff game with Grants Pass. The Lady Cavers, for the contest, made 17 of 29 shots from the field, with 11 of those baskets coming from 3-point range. "They were on fire," Leavitt said. Grants Pass started its hot shooting early, getting four 3-pointers in the first quarter — two each from sophomore Ahdra Klingler and former Sherwood standout Grace Gaither. But the Tigers had an answer. 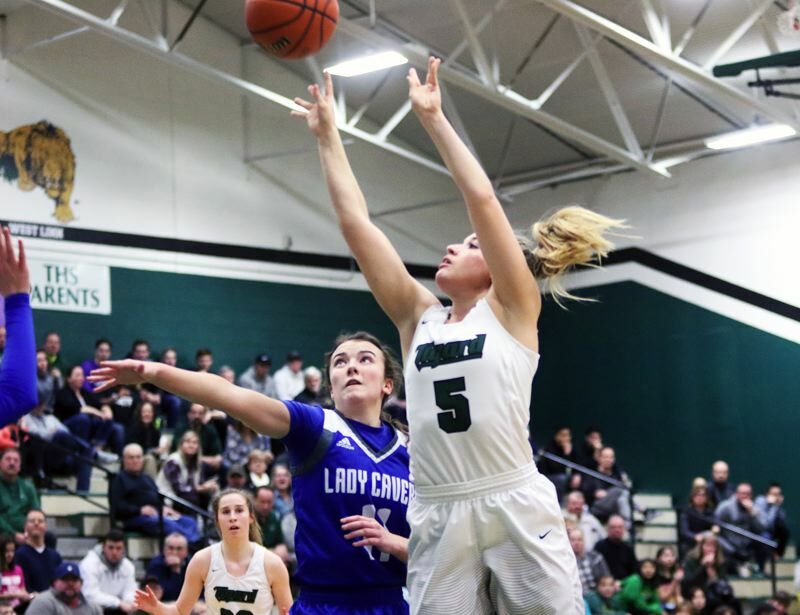 Leavitt sank two 3-pointers of her own, scoring eight points in the quarter, and Gray added a 3-pointer, helping Tigard claim a 14-12 lead at the end of the opening period. Grants Pass opened the second quarter with five straight points, including a 3-pointer by junior Elizabeth Williams, to take its first lead of the game, at 17-14, with 6 minutes and 42 seconds left before halftime. But Tigard responded with a quick 9-0 run. Gray got things going by converting a three-point play. 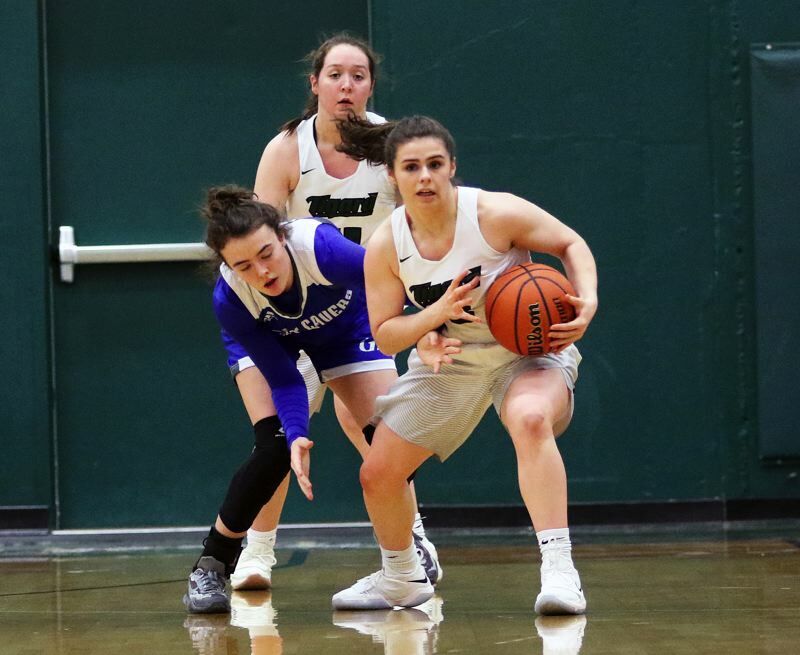 LaFountain followed with a 3-pointer, off an assist from sophomore Kennedy Brown, and Gray then hit a 3-point basket from the top of the circle, giving Tigard a 23-17 advantage with 5:43 remaining in the quarter. 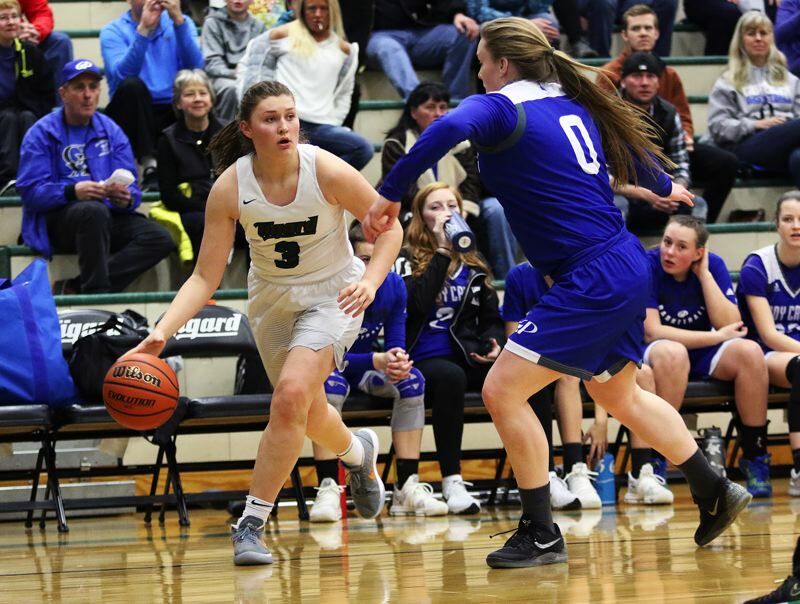 Tigard, with Leavitt scoring five straight points later in the period, with with LaFountain sinking another 3-point basket, would go on to claim a 31-23 halftime lead. The halftime break did nothing to cool down Grants Pass' hot shooting. The Lady Cavers sank five shots from 3-point range in the third quarter. Williams' second 3-pointer of the game, coming with just 10 seconds left in the period, cut the Tigard lead to 43-42. But, again, the Tigers answered back. After Williams' basket, Gray brought the ball up court. As time was running out, she threw a no-look pass to Leavitt on the left wing. The steady sophomore then sank a 3-pointer as the horn sounded, giving the Tigers a big lift, and a 46-42 lead going into the fourth quarter. "It was a great pass," Leavitt said. "And, when I'm feeling it, I'm feeling it." The action got more pressure-packed in the final stanza. A pair of free throws by Gray gave Tigard a 48-44 lead with 5:21 left in the game. Grants Pass would cut the lead to 48-46 when Klingler scored on a drive to the hoop with 2:15 remaining. Tigard, after spreading the court and killing off some time, missed on a drive to the basket with 1:07 remaining. Grants Pass grabbed the rebound and called time out. Lady Caver junior Ayla Klingler then missed a game-tying bank shot with 47 seconds remaining, and Gray grabbed the rebound. Gray was then fouled with 15.0 seconds remaining, putting her at the foul line in a one-and-one bonus situation. She made the first free throw, but missed the second, giving Tigard a 49-46 lead. Gaither was off the mark on a potential tying 3-pointer with eight seconds remaining, and the ball went out of bounds to the Tigers. Gray was fouled again with 6.9 seconds remaining. This time, she sank both free throws to up the margin to 51-46. "We knew she'd make them," Leavitt said. 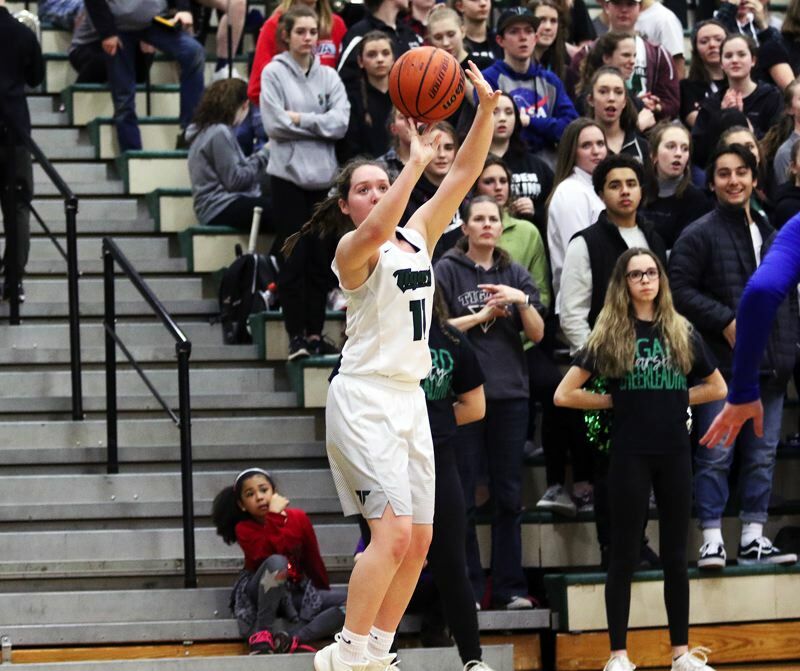 A layup by Ahdra Klingler, as the horn sounded, made the final score 51-48, and ignited Tigard's victory celebration. "I'm really happy," LaFountain said. "It was our defensive intensity," Gray said of the key to victory. "And getting out on their shooters in the fourth quarter." "They hit some big shots, but we came back and answered," Naylor said. "Campbell is super tough with the ball, and Delaney hit some big shots. I'm just really proud of all the girls." Gray, in addition to her game-high 20 points, also had four rebounds, three steals and a pair of assists in the victory. Leavitt shot at a 4-for-6 clip from 3-point range on her way to scoring 18 points. She also had a pair of steals. LaFountain scored six points, coming on a pair of 3-pointers, and she also had three rebounds and two assists. Junior post Dani Lyons had three points and two assists. Brown had two points and two steals and senior Gabby McGaughey scored two points. 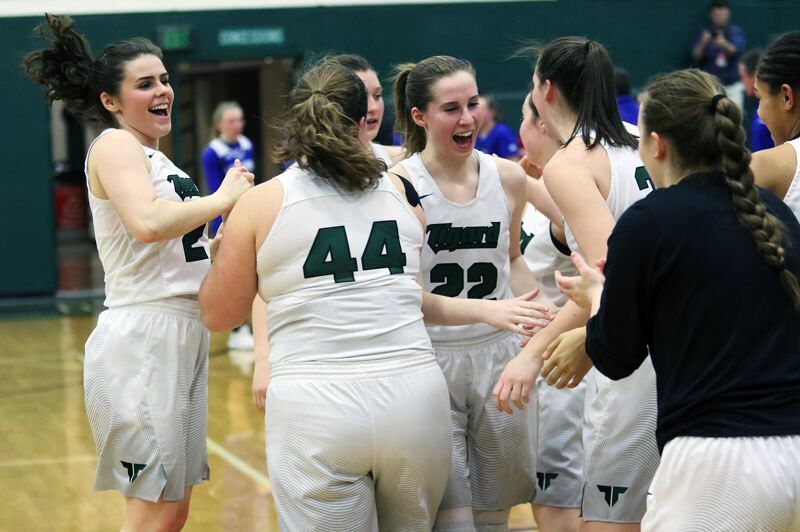 Tigard, as a team, made 17 of 35 shots from the field, with eight 3-pointers, and nine of 14 free-throw attempts. The Tigers also had just four turnovers in the contest. Ahdra Klingler led the Lady Cavers with 17 points. Gaither scored nine and senior Alyssa Etheridge scored eight. Benson, the Portland Interscholastic League champion, and the No. 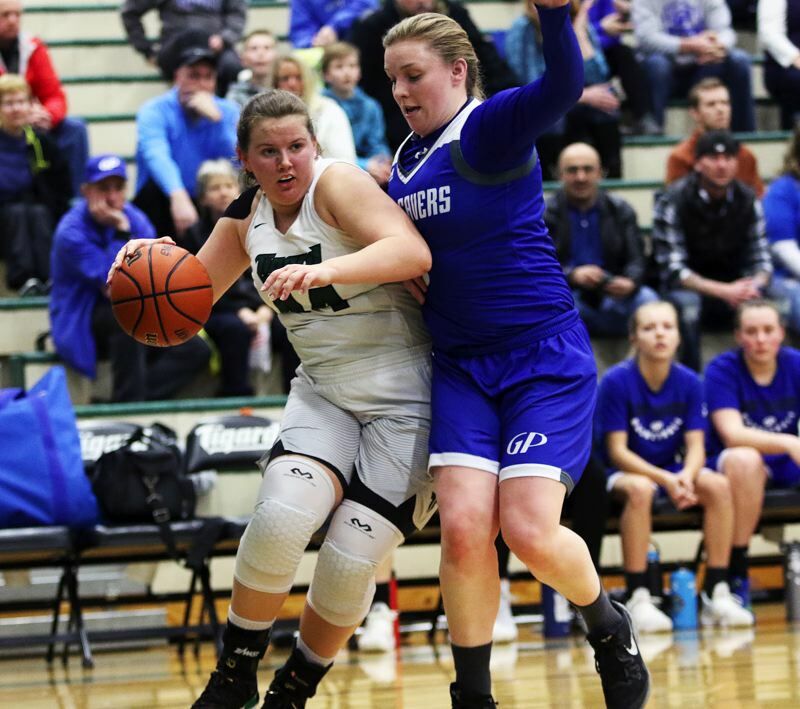 7 team in the OSAA power rankings, brings a 21-5 record into Wednesday's state-tournament quarterfinal game.